SPUDSTITUTION: This recipe replaces traditional sour cream with potatoes! This coffee cake has a decadent coffee flavour and is moist and sweet with the addition of potatoes and fruit. To garnish, drizzle with glaze [1 cup (250 mL) icing sugar mixed with 4 tsp (20 mL) milk or cream] or simply sprinkle with icing sugar. Filling: In bowl, combine sugar, pecans, cherries, blueberries, apricots and cardamom; set aside. In bowl, whisk together flour, baking powder, soda, salt and cardamom. In large bowl, beat together butter and brown sugar until fluffy. Beat in eggs, one at a time, beating well after each addition. In small bowl, combine vanilla and espresso powder. Add to butter mixture. Alternately beat in flour mixture and mashed potato making 3 additions of flour and 2 of potato until smooth and well combined. Spoon 2/3rds of the batter among 10 greased yorkshire pudding pans or 6 greased mini bundt pan and sprinkle with filling mixture. Spoon remaining batter over top, spreading evenly. Bake in 350 F (180 C) oven 20 minutes or until cake tester inserted in center comes out clean. This recipe is adapted from “Potato” by Alex Barker. Flecked with chocolate and the combination of almond makes this a delicious treat for after dinner. In large bowl, using electric hand mixer beat butter and sugar until light and fluffy. Beat in egg yolks, one at a time until creamy. Beat in mashed potatoes and almond extract until combined. Stir in chocolate and almonds. Sift together flour, baking powder, cinnamon and salt and stir into butter mixture with milk until combined. In another bowl, beat egg whites to stiff peaks. Fold into cake batter until well combined. Scrape batter into parchment paper lined 9inch (23 cm) cake pan and spread evenly. Bake in 350 F (180 C) oven for about 1 hour or until cake tester inserted in centre comes out clean. Let cool in pan on rack for about 15 minutes. Run knife around edge and turn out onto rack and let cool completely. Chocolate Icing: Meanwhile, place chocolate and butter in heatproof bowl and set over saucepan of hot (not simmering) water. Stir well until melted. Pour over cooled cake and spread over top and sides of cake. 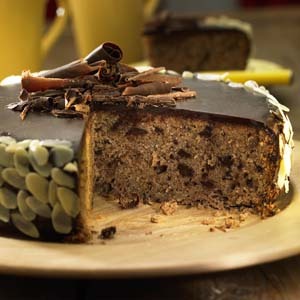 Coat sides of cake with sliced almonds and garnish with shaved chocolate on top if desired. Serve slices with whipped cream if desired. You will need about 1 cup (250 mL) mashed potatoes for this recipe. SPUDSTITUTION: This recipe reduces traditional egg yolk and cream, replacing with potatoes! 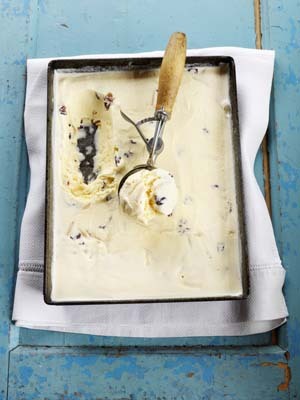 Ice cream stays creamy and resists melting away quickly with the addition of potatoes. With a light fluffy texture, the added nutrients of potatoes are hidden within this tasty cold treat. In bowl, whisk together yolks and sugar until thickened. In small saucepan, heat cream over medium heat until bubbles appear around edge of pan. Whisk into egg mixture. Return to pan and cook over medium heat, stirring constantly 8 minutes or until thickened enough to coat the back of a spoon. Remove from heat and whisk in chopped chocolate until smooth. Whisk in potato and vanilla. Strain and press through fine mesh sieve into clean bowl. Place plastic wrap directly over surface and refrigerate 2 hours or until cold. Pour into 8-inch (2 L) square metal cake pan and freeze 4 hours or until almost firm. Break into chunks and place in food processor. Puree until smooth. Stir in pecans, scrape into airtight container and freeze for at least 1 hour or until firm before serving. Or alternatively, freeze in ice cream machine according to manufacturer\'s instructions. Make ahead: Keeps in freezer about 1 week. When stored in freezer, remove ice cream from freezer and let stand for 15 minutes before serving. White Chocolate Almond Variation: Omit bittersweet chocolate and pecans. Use 2 oz (60 g) finely chopped white chocolate and 1/4 cup (50 mL) each sliced almonds, toasted, and dried cherries or cranberries. This fluffy potato dough is the perfect way to wrap up sweet buttery brown sugar and cinnamon. Prepare the dough ahead the night before and then bake the cinnamon buns the next morning for a brunch or when guests are over for coffee. In saucepan, cover potatoes with water and bring to boil. Boil for 15 minutes or until tender. Drain and return to saucepan, add all but 1/2 tsp (2 mL) of the sugar into potatoes and mash. Let cool completely. Meanwhile, in large bowl, dissolve remaining sugar in water. Sprinkle with yeast and let stand for about 10 minutes or until frothy. Whisk in butter and cooled potato mixture, salt and eggs. Stir in 2 3/4 cups (675 mL) of the flour to form sticky dough. Turn out onto floured surface and knead in remaining flour for about 5 minutes or until smooth. Place in greased bowl, cover and let rise for about 1 hour or until doubled in bulk. Punch down dough. Cinnamon Sugar Filling: In small bowl, combine sugar and cinnamon; set aside. Roll dough on floured surface to 14 x 20 inches (35 x 50 cm). Spread dough with butter and sprinkle with sugar filling. Starting at long side roll up tightly and pinch seam to close. Using serrated knife, cut into 12 pieces and place in parchment paper lined 13 x 9 inch (3 L) pan. Cover and let rise for 30 minutes or until doubled. Bake in 375 F (190 C) oven for about 30 minutes or until golden. Let cool slightly. Cream cheese Icing: In bowl, using electric hand mixer, beat cream cheese and butter together until smooth. Beat in icing sugar and whipping cream until creamy. 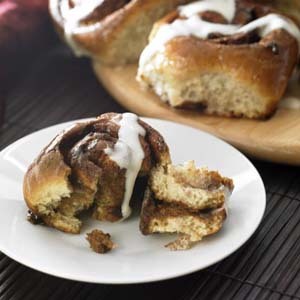 Spread over cinnamon buns before serving. Tip: You can omit the cream cheese icing and simply whisk together icing sugar and 1/4 cup (50 mL) whipping cream until smooth and drizzle over the cinnamon buns. 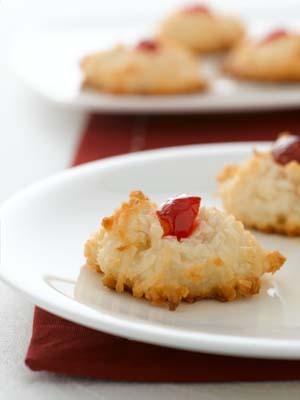 Using potatoes in this cookie recipe helps keep the moist texture on the inside of the macaroon while the crisp golden coconut keeps the crunch on the outside. In saucepan, cover potatoes with water and bring to boil. Boil for about 12 minutes or until tender. Drain well and mash or put through ricer or strainer into bowl. Whisk in sugar, vanilla and salt. Let cool completely. Meanwhile, whisk egg whites until foamy. Add coconut and cooled potato mixture and stir until well combined. Drop by tablespoonfuls (15 mL) into mounds about 2 inches (1 cm) apart onto parchment paper lined baking sheet. Top each with quarter of cherry. Bake in 325 F (160 C) oven for about 35 minutes or until golden brown. Let cool completely in pan on rack. Tip: Cookies can be stored in airtight container at room temperature for about 1 week or frozen for up to 2 weeks. 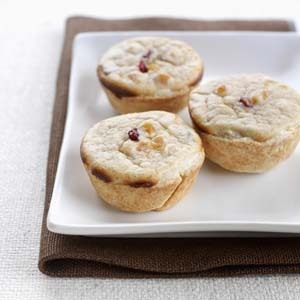 These are hearty breakfast muffins that are easy to enjoy with coffee or a glass of milk. This recipe is adapted from “Potato” by Alex Barker. In small saucepan cover potato with water and bring to boil. Boil for about 15 minutes or until tender. Drain well and place in large bowl. Mash with potato masher and set aside to cool slightly. Whisk in sugar until dissolved. Add butter, milk, egg and vanilla and whisk until combined. In large bowl, whisk together flour, baking powder and salt. Pour potato mixture over flour and stir until combined. Stir in cranberries and orange rind until evenly distributed. Scoop batter among 12 greased or lined muffin tins. Bake in 425 F (220 C) oven for about 20 minutes or until lightly golden and tester comes out clean when inserted in centre. 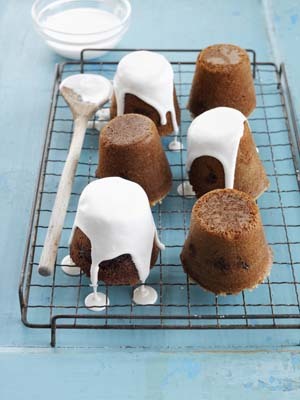 Let cool and sprinkle with icing sugar before serving if desired. A creamy sweet filling with mashed potatoes is the foil for dried apricots and cranberries in this little tart. You can make your own pastry or use frozen tart shells for a conveniently quick dessert. The tarts will puff as they bake but slowly deflate as they cool. A perfect topping is a dollop of whipped cream and sprinkle of nutmeg or cinnamon. Pastry: In bowl, combine flour, sugar and salt. Using pastry blender or fingers, cut butter into flour until coarse crumbs form. In small bowl, whisk egg and water together. Drizzle over flour mixture and toss to combine. Using your hands, bring dough together. On lightly floured surface roll out dough to generous 1/4 inch (5 mm) thick. Using 4 inch (8 cm) round cookie cutter, cut out pastry circles and fit into muffin tins. Re-roll dough to fit 12 muffin tins. Refrigerate. In pot of boiling water cook potatoes for about 20 minutes or until tender. Drain and let cool slightly. Place in large bowl. Using electric mixer beat potatoes until smooth. Add condensed milk, butter, vanilla, cinnamon, nutmeg and salt and beat until smooth. Beat in eggs, one at a time until well combined. Stir in apricots and cranberries. Remove tart shells from refrigerator and fill with potato filling. Bake in centre of 375 F (190 C) oven for 20 to 25 minutes or until pastry is golden and filling is puffed. Let cool completely. Make-ahead: Refrigerate tarts in airtight container for up to 3 days. Bring to room temperature before serving. This easy dessert has a flaky pastry with the addition of potatoes. A celebration of summer’s fruit, plums feature a juicy flavour and gorgeous colour. In large bowl, combine flour and sugar. Using pastry cutter or fingers cut in butter until coarse crumbs form. Add potato and mix until well combined. Drizzle egg over top and toss until moistened. Scrape onto well-floured surface and knead gently to form soft dough. Shape into disc and wrap with plastic wrap; refrigerate for 30 minutes or until chilled. Roll out dough on floured parchment paper into 14-inch (35-cm) circle. Place on cookie sheet or inverted baking sheet. Filling: In bowl, combine sugar, flour and ginger. Spread half over bottom of pastry leaving 2-inch (5-cm) border around edge. Place plums cut side up over top and sprinkle with crystallized ginger and remaining sugar mixture. 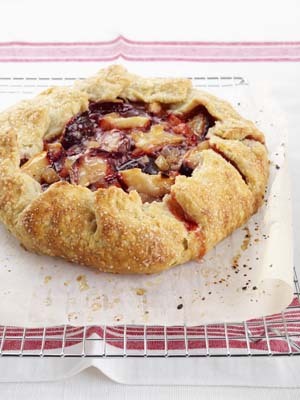 Fold up pastry to make border around plums. Brush pastry with butter and sprinkle with coarse sugar. Bake in 400°F (200°C) oven 40 minutes or until pastry is golden and fruit is tender and bubbly. Let cool before serving. SPUDSTITUTION: This recipe replaces traditional whipping or sour cream with potatoes! Densely rich, this cheesecake is dark and mysterious with the spicy fruit flavour of the Maya Gold chocolate (Maya Gold bittersweet chocolate is made by Green & Black’s Organic and has a blend of orange and spices in it; if unavailable, use a high-quality bittersweet chocolate). In bowl, stir together cookie crumbs, almonds, cinnamon and nutmeg. Drizzle with butter and stir until well moistened. Press mixture onto bottom and up sides of 9-inch (23-cm) springform pan. Centre pan in large piece of heavy-duty foil and wrap bottom and sides. Bake in 350 F (180 C) oven 10 minutes or until firm. Let cool completely. Meanwhile, in large bowl, beat cream cheese and sugar until fluffy. Beat in mashed potato until smooth. Beat in eggs, adding one at a time, beating well after each addition. Add melted chocolate, orange rind and pepper and beat slowly until combined and smooth. Beat in rum. Pour mixture into pan and smooth top. Place springform in larger pan and add hot water to come halfway up sides of springform pan. Bake in 325 F (160 C) oven 50 minutes or until set around edges but still jiggly in centre. Turn oven off and let cool in oven 1 hour. Remove from oven and water bath and let cool completely on rack. Place in refrigerator 4 hours or until cold. Remove sides from springform pan and garnish with whipped cream and almonds. SPUDSTITUTION: This recipe replaces sour cream and reduced butter with potatoes! These cupcakes are perfect for any occasion. Whimsical coconut frosting sits atop the cupcakes to attract even the youngest dessert lover. In large bowl, whisk together flour, baking powder and soda, allspice, nutmeg and salt. In other large bowl, beat butter and sugar until fluffy. Beat in eggs one at a time and potato until combined and smooth. Beat in pineapple and vanilla. Add flour mixture and stir until moistened. Add nuts and stir to distribute evenly. Scoop batter into 12 greased or paper-lined muffin cups. Bake in 350 F (180 C) oven 20 minutes or until tester inserted in centre comes out clean. Let cool completely. Remove from muffin cups. Coconut Frosting: In bowl, beat butter and extract until almost white. Gradually beat in icing sugar until fluffy and smooth. 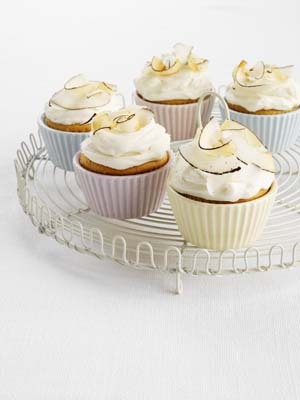 Spread frosting over cupcakes and top with toasted coconut. Cake Variation: Divide batter between two 8-inch (1.2-L) greased and parchment paper-lined round cake pans. Using offset spatula spread out batter to smooth top. Bake 25 minutes or until tester inserted in centre comes out clean. Let cool completely. Remove from pans. Spread 1/2 cup (125 mL) of frosting onto one cake layer and top with second cake layer. Spread remaining frosting decoratively over top and sprinkle with coconut. This is fruitcake at its best! Why? Well, it must be the delicious dried fruit and wonderful combination of spices. Or could it be the Guinness stout? No matter how you look at this cake, many Irish Canadians who miss out on this homemade treat send away for their tin of Porter cake from home that is traditionally stored in a tin, to help the cake keep moist. Good luck trying to keep this one around, one slice doesn’t seem to be enough. 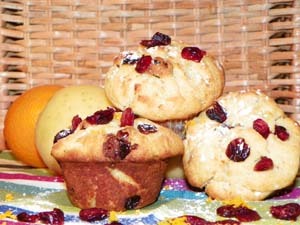 Packed with fruit, you will get a good hit of fibre and less flour than the traditional version. In saucepan, melt butter and add sugar and beer. Whisk in potatoes. Add raisins, mixed peel, dried cherries and orange rind; bring to a boil, stirring constantly. Remove from heat and let cool to room temperature, stirring occasionally. In another bowl, whisk together flour, baking soda, cinnamon, nutmeg, cloves, coriander and allspice and salt. Add to fruit mixture and stir in eggs until well combined. 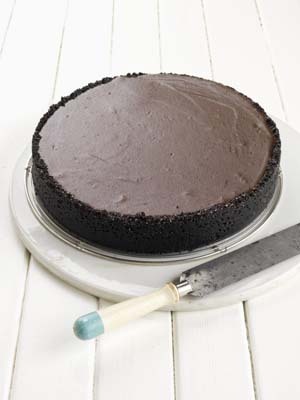 Spread in greased 9-inch (2 L) round cake pan. Bake in 350deg;F (180°C) for about 1 hour and 15 minutes or until cake tester inserted in centre comes out clean. Let cool completely in pan. Run knife around edges and turn cake out. Wrap well with plastic wrap and store in cake tin and let stand for 1 day before cutting. Tip: For added moistness poke the cake with a skewer while still warm and pour ¼ cup (50 mL) of Guinness over top and let cool completely. 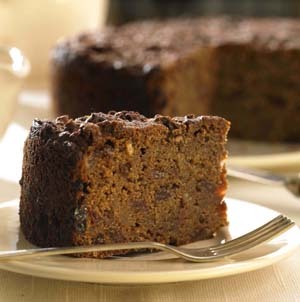 Tip: Although it is recommended to let the cake rest for a day before cutting, it is delicious and moist the day it is made. Just try keeping your family away from it. Spud-stitution: this recipe uses potatoes instead of the traditional khoya (thickened milk) or paneer (Indian cottage cheese)! Boil potatoes until tender. Cool and peel them. Set a box grater in a large mixing bowl and grate potatoes into bowl. Add milk powder, flour, baking soda, ground cardamom and saffron. Mix with a fork until fairly smooth. Add milk and knead with your hands until dough is smooth and slightly sticky. Cover loosely and let rest for 15 minutes. To fry jamuns, warm oil in deep skillet over medium heat. (Frying the jamuns on medium heat is very important, as they need to cook through. If the heat is too high and they brown too fast, the center will be uncooked.) With damp or lightly greased hands, take about 2 teaspoonfuls of the potato mixture in your hands and shape into smooth balls. Make sure there are no cracks and balls are smooth. Gently slide in about 4-5 at a time so as not to over crowd the pan and to let them cook evenly. Spoon oil over top of balls occasionally to cook them properly. Stand back a little when you deep fry, be careful! Let them brown evenly to a deep golden colour, about 7-8 minutes. Transfer to a paper lined plate. Repeat with remaining dough. To make syrup, bring water and sugar to a boil in a large saucepan set over high heat. Reduce heat to medium-low and add saffron. Simmer uncovered for 20 minutes until syrup thickens slightly. Cool 15 minutes, then add ground cardamom and fried gulab jamuns. Stir gently to immerse gulab jamuns in the syrup, allowing them to soak for at least an hour before serving. Transfer to a bowl gently. Pour any syrup over top and garnish with slivered pistachios if desired. 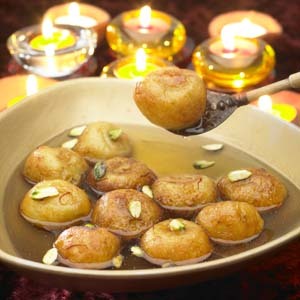 These delicious gulab jamuns may be served chilled or warmed up slightly. Leftover Gulab jamuns should be kept refrigerated.